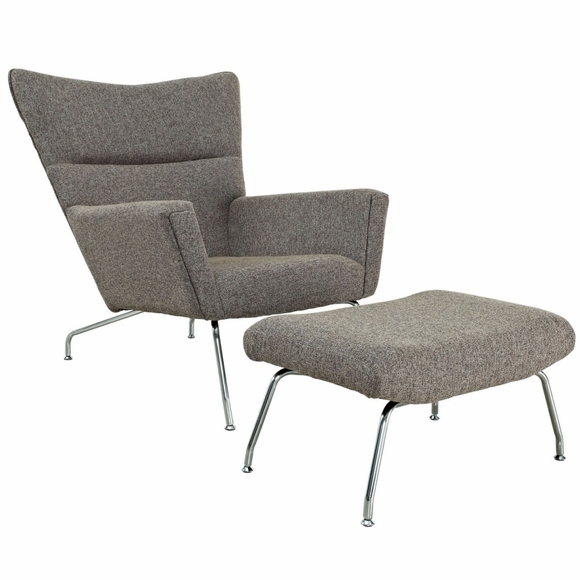 Hans Wegner originally created the Wing Chair & Ottoman in 1960. The chair had modern clean lines and is considered an Iconic Mid-Century design. With an enveloping wrap that provides the front ward looking structural groove of the arms, this Wing Chair and Ottoman provide both comfort and a modern look. 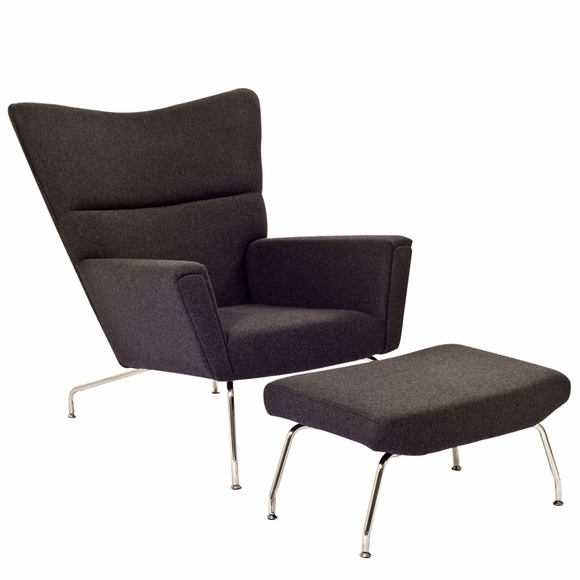 Our Reproduction of the Hans Wegner Style Wing Chair & Ottoman meets the architectural specifications of the original. 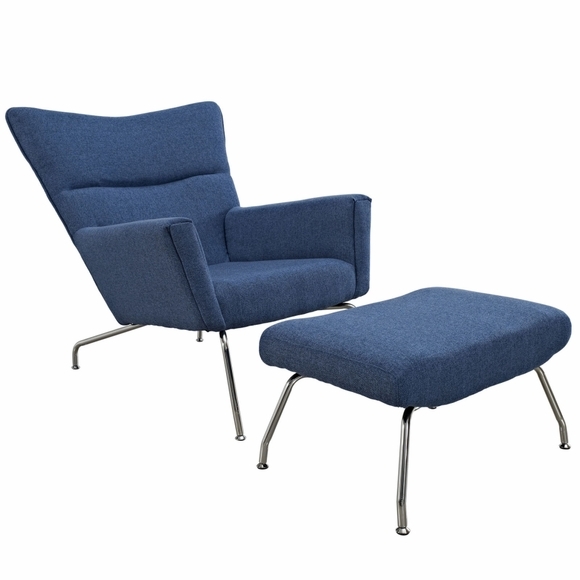 This High Quality Replica of the Wing Chair and Ottoman in Wool features 100% Premium Wool, Molded Fiber Glass Frame, Fire Retardant Polyurethane Foam Padding, and Solid Stainless Steel Base.